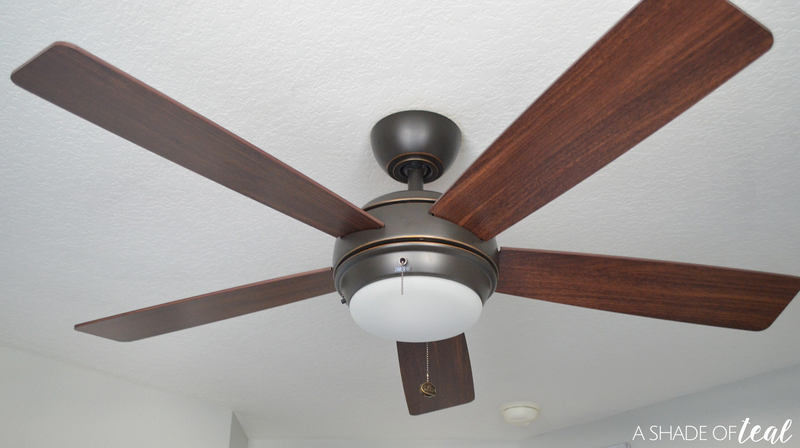 I finally installed my new ceiling fans from Lamps Plus! 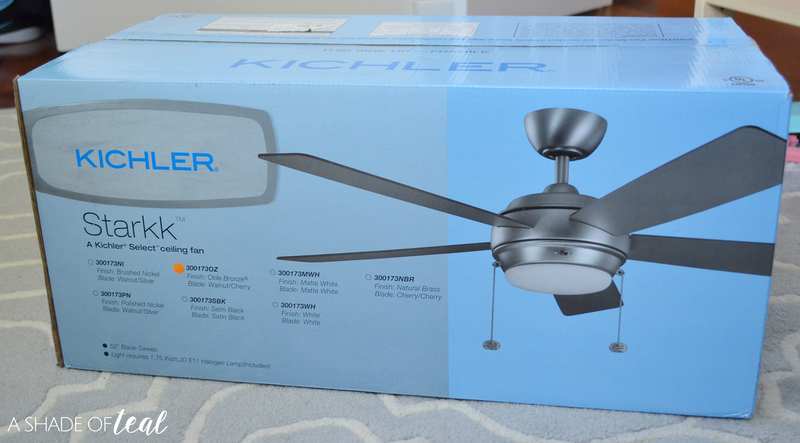 I went with the Kichler Starkk Olde Bronze Ceiling Fan and I love how it looks! Here’s what the before and after look’s like. Finally a modern fan! The white or should I say yellow fan was there when we bought our house, so I was beyond excited to finally replace it. 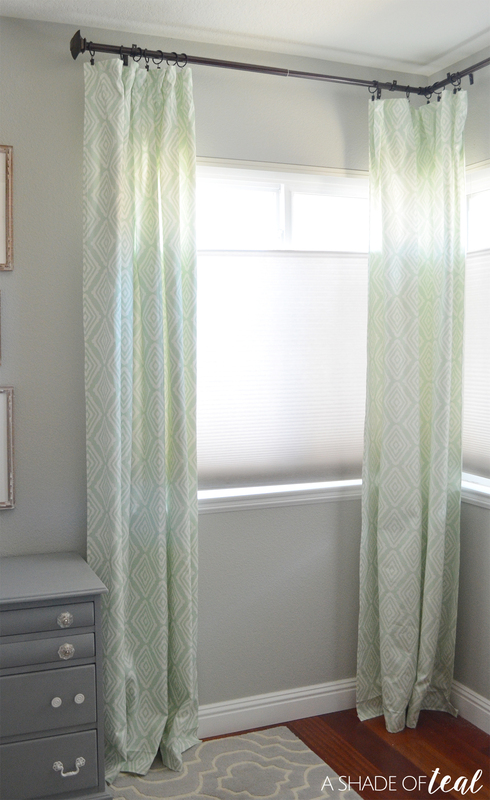 Last week I hung my curtains (From Minted Here), but I wasn’t loving the height. 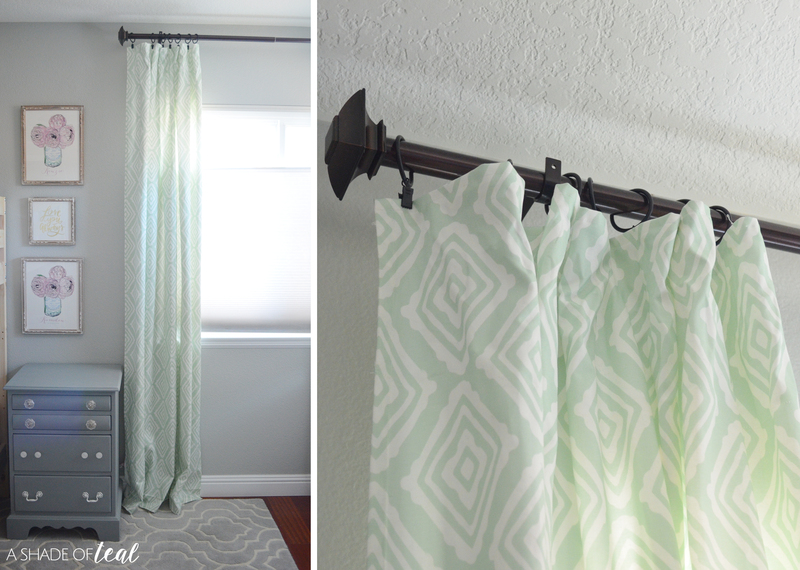 I ended up deciding to open the hem at the top & bottom and extended them an extra 9″, therefore moving the curtain rod up. This room is really small with standard height ceilings, so raising the curtains makes it feel so much taller & larger. Here’s the before and now after. Finally, I finished the beds with the new bedding, installed the rest of my wall shelves, hung wall art, and added some final touches. I don’t want to give it all away so here’s a little sneak peek! Install new closet doors- Skipping this for now. 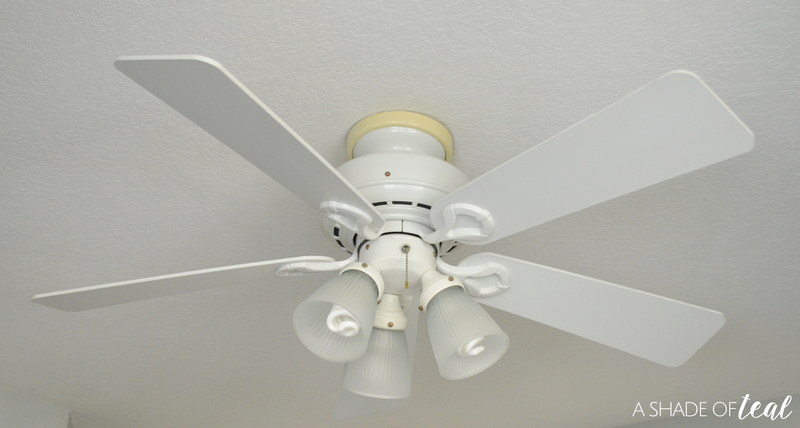 Install a new ceiling fan or lighting- Done! 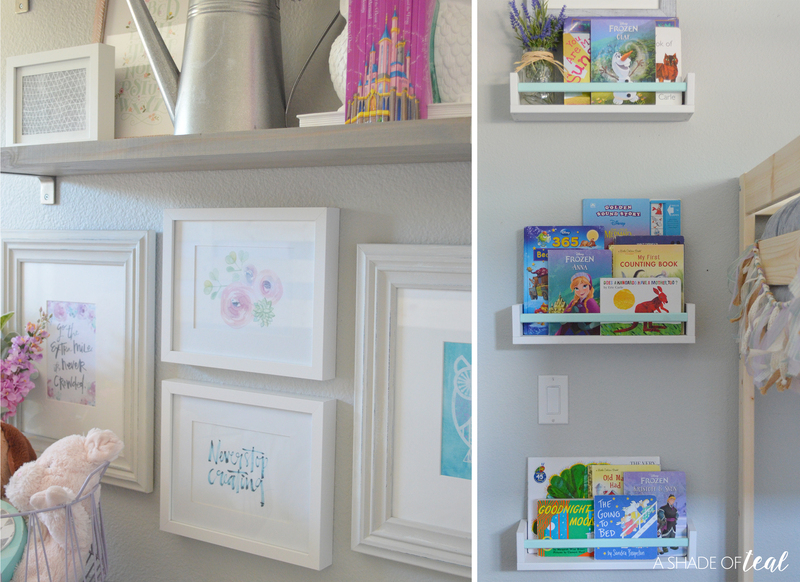 Makeover art easel & make a play corner- Done! I have something else here in place. 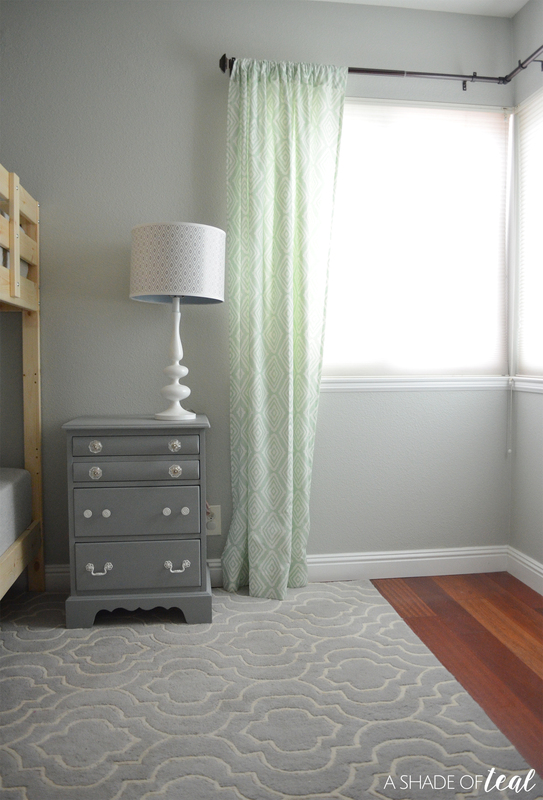 Possibly add a new table & chairs, if I have enough space!– Skipping this since I don’t have the space. Add Decor and Accessorize- Almost complete.